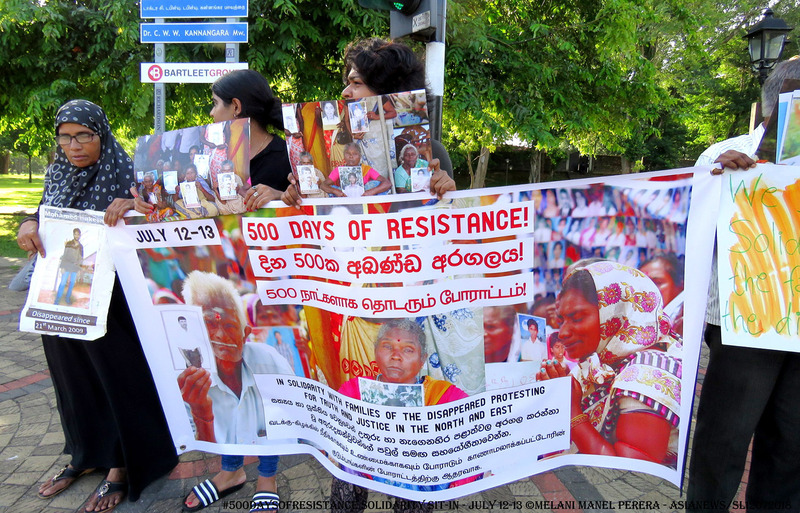 Colombo (AsiaNews) – Dozens of Tamil mothers have been protesting peacefully for 500 days demanding the Sri Lankan government tell them what happened to their missing children and relatives. For years the women have been waiting to see what had happened to their loved ones whose fate remains unknown since the end of the civil war. Several Christian leaders joined the protest last week, including Catholics. Together they took part in two sit-ins after which they presented an official petition to the authorities. 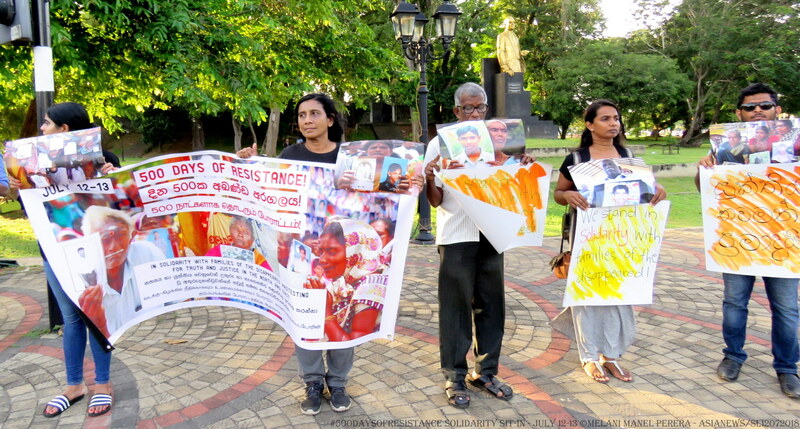 The first protest took place on 12 and 13 July and saw the participation of activists supporting the mothers who occupy part of ​​Vihara Maha Devi Park. 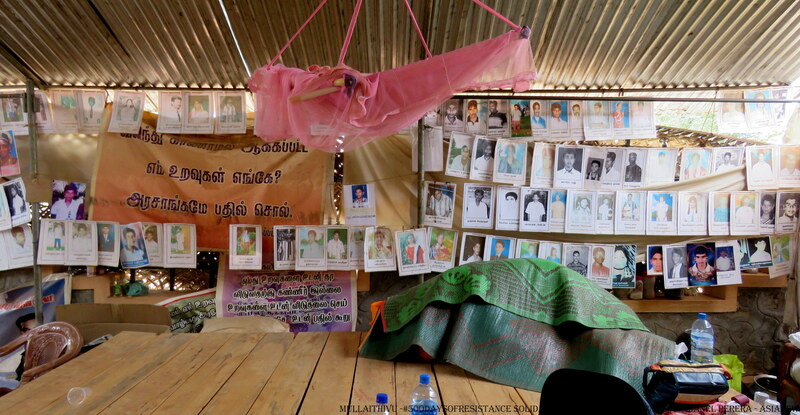 The women represent other desperate mothers who live in Vavuniya, Mullaithivu, Kilinochchi and Trincomalee. 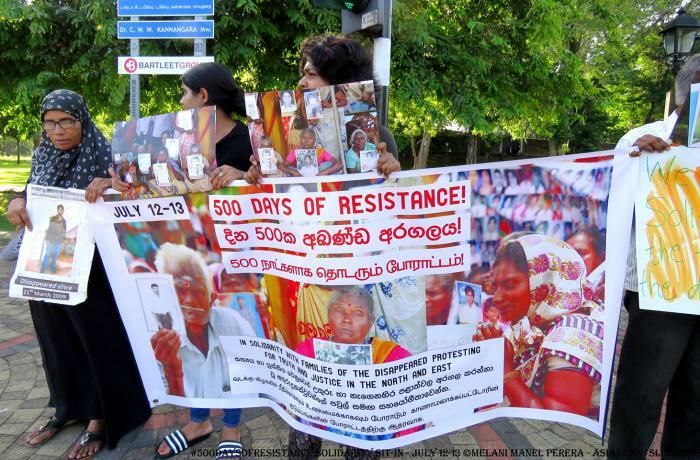 "We have organised this silent protest to show the love and concern of Tamil mothers who demand truth and justice,” Sampath Samarakoon, one of the organisers, told AsiaNews. "We are all part of the same human family,” said Rohan Silva, former provincial superior of the Oblates of Mary Immaculate. “It does not matter what our ethnicity, religion or language is. 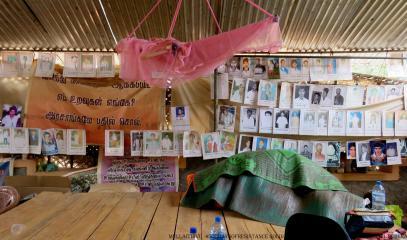 We experience great pain and frustration for these Tamil families. 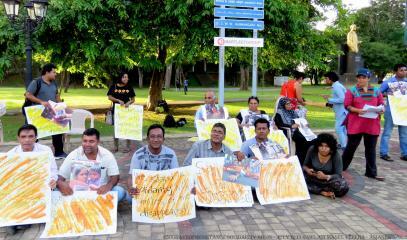 We want the government to do the right thing soon." For Sister Deepa Fernando of the Holy Family, "Even people living in the south must feel compassion for the unhappy situation [of those who live in the north] and wait to know the fate of their loved ones. These disappearances cannot be compared to any other situation. If someone dies, we know that that person is no longer in this world. But if someone disappears, nothing gives comfort." 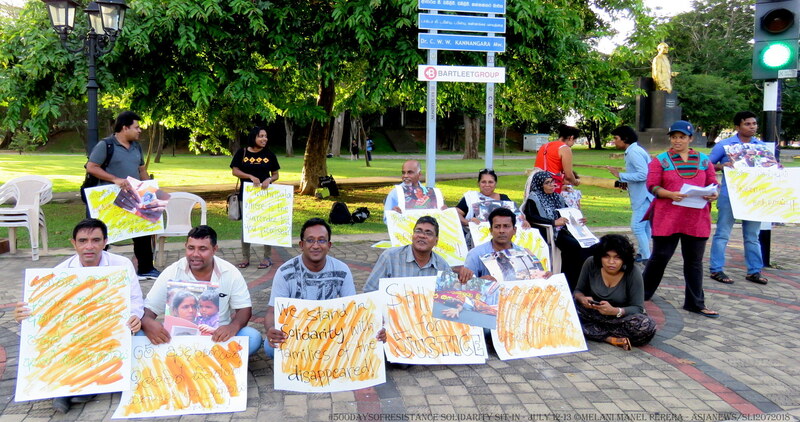 At the end of the protests, activists and Catholics presented a document to the authorities, government offices, the military, the UN mission and diplomatic missions, showing the concern of 241 individuals and 39 organisations. The petition calls for the publication of a list of the people who survived the fight with the armed forces in the final stages of the war and the release of all prisoners. 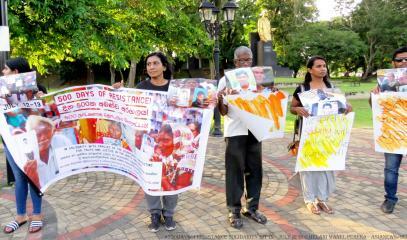 The second sit-it was held on 15 and 16 July in Kilinochchi, Vavuniya and Mullaithivu. Participants reiterated that "it is not just a matter of disappearances, but of enforced disappearances, because we know well where, how and at the hands of whom our children and husbands have disappeared. How can the government say that it does not know anything about it?" "Being a nun who works for the people affected by war both theoretically and practically, I believe that [these mothers] are among the poorest of the poor, exploited by oppressive structures. They want to find a new way to deal with the situation and build a new way of life, while fighting for full liberation and self-determination."